Gift Baskets are considered some of the most popular gifts for any special day/event. They are particularly popular near the holidays, and are frequently given at occasions like weddings, birthdays and anniversaries. Gift baskets are amazing gifts for friends, family, or anyone important to you. The greatest thing about gift baskets is that they comprise numerous smaller gift items. Such assortment makes gift baskets more thrilling than a single gift. Additionally, gift baskets are attractive and people like talking about them, seeing them, and most of all getting them. Gift baskets are very gorgeous gifts. The items in the basket are skillfully arranged. The basket is pleasantly wrapped in cellophane often encircled with bows and ribbons. Professional gift basket companies can even shrink-wrap gift baskets so they have a more professional look. Since gift baskets hold an assortment of gift items, they are believed to be fun to receive. 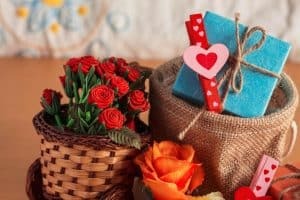 The items in every basket should complement each other, making a special gift. Gift baskets come in all sizes, topics, and can fit any budget. One of the most popular gift baskets are food gift baskets. You could create your own, but it’s best to leave it to the experts. Professional gift basket companies focus in creating these distinctive gift items. Gift baskets are ideal gifts for every man or woman. Gift baskets are safe gifts to give because they contain some of the most common products people buy, including candy, food, and bath/beauty products. Today, it’s easy to find nice gift baskets at affordable prices. With the internet, consumers can explore before they buy. Before making a choice, make sure you look online. They are several online gift basket businesses. Shopping online allows you a bigger selection to pick from then purchasing your gift baskets at a local gift or specialty store.